Here's how a small group of complainers is making air travel more expensive for everyone. George Mason University’s Mercatus Center, an anti-regulatory think-tank that has the chairman of Koch Industries on its board, is coming after your grouchy father-in-law. 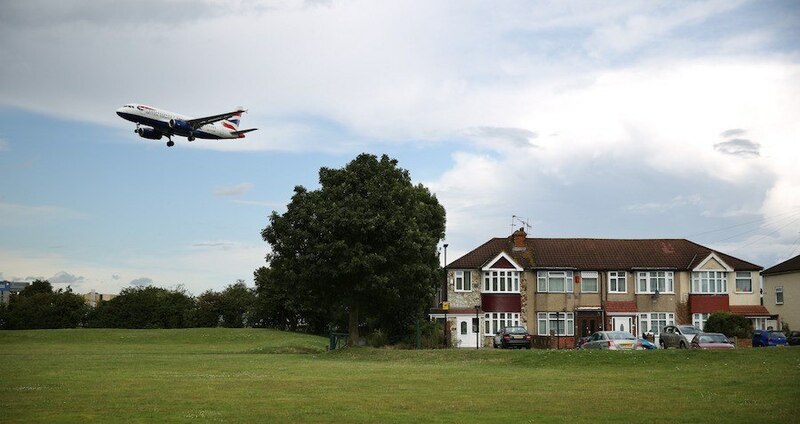 They’ve released a paper stating that the vast majority of noise complaints made against airports by those who live nearby are registered by a small handful of people, who sometimes call up to a dozen times a day. According to the study, these outliers are skewing the official statistics behind this nationwide problem, and the data seems to back that allegation up. The study’s authors have a real point. Airport noise standards are strict to begin with, and the more restrictions airports have to abide by, the more costs — economic and environmental — mount up. Put simply: airplanes trying to be quiet use a lot of fuel. Increased fuel means more carbon emissions and higher ticket prices. Nevertheless, there remains a small group of people responsible for the overwhelming majority of complaints. The top complainer for Seattle-Tacoma International Airport, for example, accounted for 42 percent of all the complaints the airport received. In Portland, five individuals accounted for 61 percent. In Los Angeles, 88 percent of the complaints came from three people. For the month of September 2015, a single person was the source for 98 percent of all the complaints received by Las Vegas’ McCarran International Airport. The sense of the disproportionate concentration of complaints among just a few people intensifies when you consider the sheer number of calls and emails that these handful of people are sending. Two people in one household in Washington, D.C., for example, called their airport 6,852 times in 2015, accounting for 78 percent of complaints received by Ronald Reagan Washington National Airport. Rounding up, that is 19 calls a day, every day, including Christmas, split between the two of them. In Denver, out of the 42 households who complained in 2015, one person complained 3,555 times — 73 percent of all the complaints. Furthermore, just four people accounted for 96 percent of all the complaints at that airport. And the one person who registered the most complaints lives a full 30 miles away from the airport. “The only time I ever hear aircraft is when local residents have a plane, a small plane or crop duster,” said Christina Hart, a court clerk who lives in the Denver suburb of Strasburg, the same suburb where the number one complainer resides. “I’m not saying if someone calls 4,000 times we are going to follow-up every time, but we take these complaints very seriously. This airport has worked tremendously hard for two decades to contain and mitigate noise,” said Mike McKee, the Denver International Airport (DIA) noise abatement manager, to the Denver Post. According to McKee, DIA personnel have contacted the number one complainer in the past but they haven’t spoken in years. Hopefully, the man has an automated system set up to register complaints once a microphone sensor rises above a certain decibel limit, and isn’t doing all this manually. Next, find out how one man died after biting another man mid-flight, before checking out North Korea’s flashy new terminal at the Pyongyang airport.